Here are the steps to follow to sign up and activate your account. Visit the new user registration page and sign up. 3. Link your existing ICICI current account or apply for a new business current account. You will receive an email with a list of required documents , keep them ready. Our ICICI agent will collect the documents from you. In the meantime, you can start receiving payment from your customer through OpenPay. After you New ICICI current account is opened link your account to Open. Done. 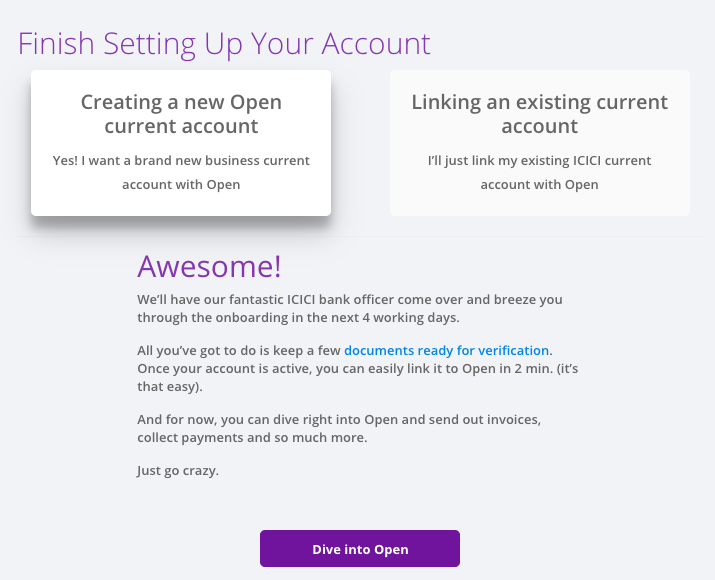 Your Open account is activated now.